Yesterday, the we learned who will play the twelfth Doctor on Doctor Who. He may be the same Time Lord through regenerations, but each version of the Doctor has his own personality and his own distinct style. Let's hop in the Tardis for a trip back in time to each Doctor's signature style and see what we can borrow along the way. 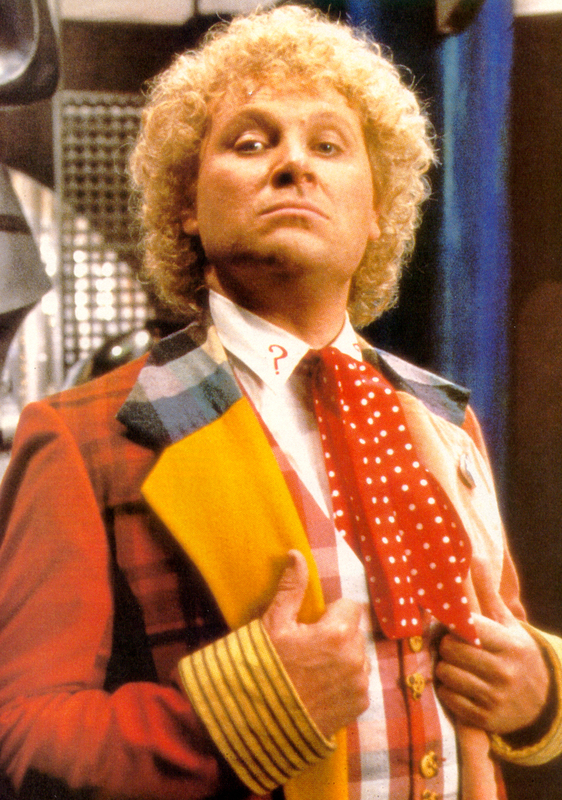 He set the tone for eccentric Doctor style. During the first shooting of the pilot he wore typical street clothes, but when it was reshot, the Doctor sported a loose bow tie, a vest, a striped scarf, a spiral cane and, occasionally, a monocle. 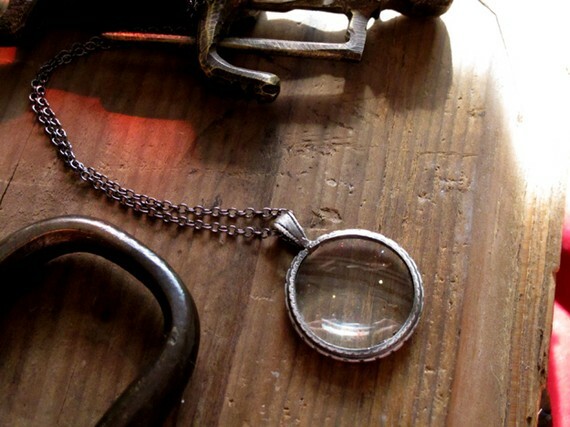 A monocle necklace would make a subtle tribute to this well-dressed Sci-fi original. 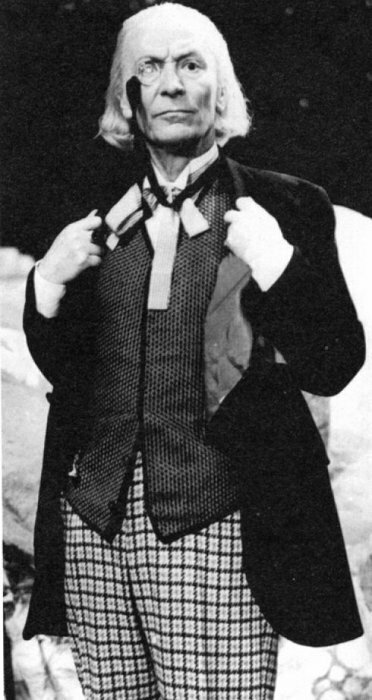 Following the well-put-together First Doctor, the Second Doctor took a more haphazzard approach to dressing. He clothes weren't quite tidy. He affixed his little, pre-tied bow tie with a safety pin and he wore loud plaid pants. These laid back plaid pants have a similar feel, but can be put together in a far more chic way. The third time's a charm, at least for fashion. This version of the Doctor was referred to as "The Dandy Doctor" for his varied fancy shirts, smoking jackets, dress shoes, riding boots, ascots and Inverness cloaks. 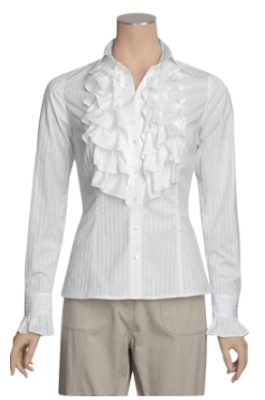 A frilly shirt can do a lot to dress up a look, and you want to look fancy when you don't know where in time or space you might end up. While I'm not terribly familiar with the Doctors that came before Nine, I can always picture Four. He was eccentric and comic looking. And, most memorably, he wore an impractically long scarf. The costume designer knew little about knitting so she gathered a lot of colorful yarn and commissioned the scarf. 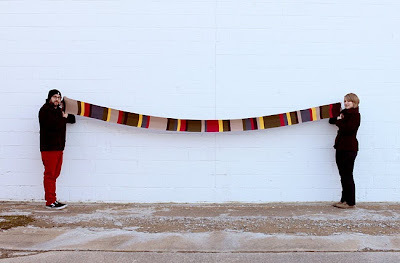 The woman who made it used all the yarn she was given, resulting in the super long scarf. You can buy a replica of this exact scarf for authentic time travel. Dressed in a variation of a Cricketer's getup, the Fifth Doctor had several eccentric touches on top of his striped pants, plimsol shoes, overcoat and v-neck jumper. The question marks on his collar were quirky, but the celery stalk he wore on his lapel was his most noticeable accessory. (It warned him of fumes that he was allergic to). 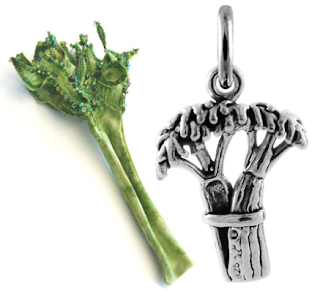 If wearing a celery stalk, like this fabric one, on your lapel is too much, this little celery charm is a nice homage. The actor who played Six wanted a black jacket and dark look for his character. The producers went all the way the other direction. This Doctor wore plaid, colorblocking, polka dots, teddy bear buttons, a cat brooch, etc. Basically, he wore all the things. This look is easy to emulate, just wear all the garish items you can find. 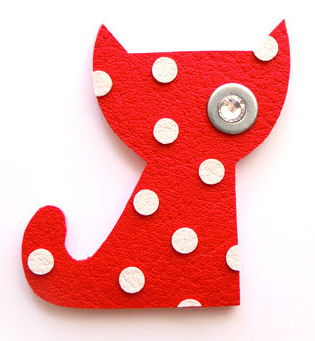 For a simpler way to capture Six, this cat brooch mimics his with added playful polka dots. In contrast to Six, Seven had a more toned-down look to start. 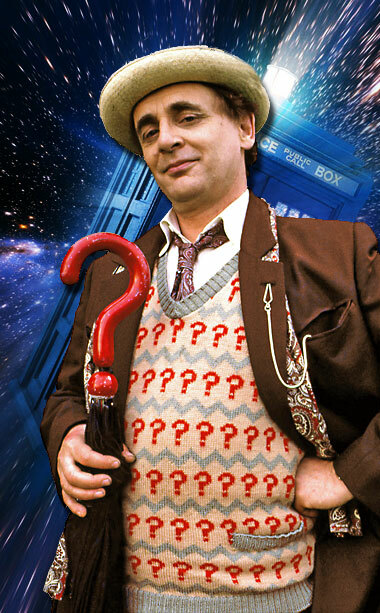 The look actually changed a lot throughout this Doctor's tenure, but his question mark pullover and question mark-handled umbrella were trademarks that harkened back the question mark lapels worn by previous Doctors and the constant question, "Doctor Who?" 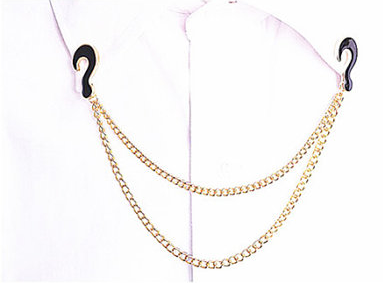 The fashion answer to all these question marks is a cute shirt collar pin set. This Doctor appeared on TV only once in a 1996 film that was supposed to function as a backdoor pilot for a show on Fox (We all know Fox's track record with brilliant Sci-fi). The show never happened, but Eight became the doctor portrayed in various other media formats for nearly a decade until the series picked up again in 2005. Eight was a posh fellow who looked a bit like he walked out of a Jane Austen novel with his velvet jacket, brocade vest and satin-y ascot. A velvet jacket might be just as cozy as a towel for all that traveling. 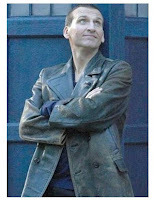 Bringing us back the fantastical science-fiction show, Nine was a darker, more modern Doctor who sported a simple leather jacket and jeans. 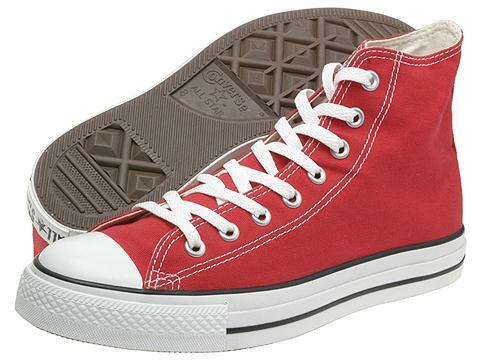 These modern classics accompanied the Doctor as he introduced a new generation to the man in the blue box. 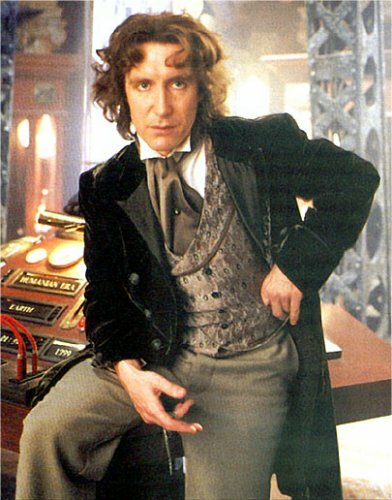 When I think of the Doctor, I think of Ten. 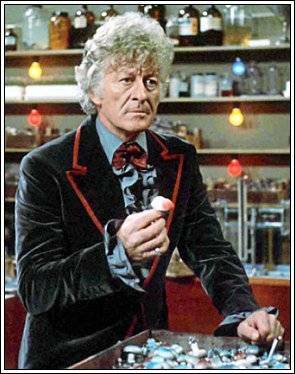 He was the first Doctor I watched. ("Blink" was my first episode. Jael introduced me. She's a good friend.) His look was a blue or brown pinstripe suit with a long suede jacket and various colors of trainers depending on the suit he wore. The shoes and long coat echoed some of the more eccentric fashion choices of the earlier Doctors. 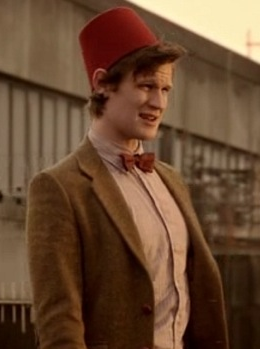 When Eleven popped onto the scene in his tweed jacket and bow tie he brought the zany style back to the Doctor. He has been on a mission to convince us that bow ties are cool, as are fezzes, Stensons and any other accessory he decides to adopt for the moment. 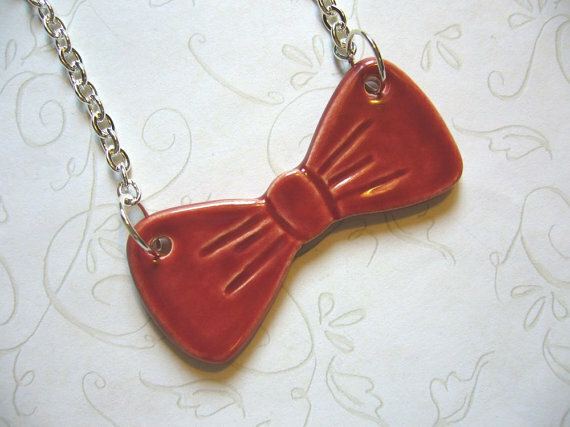 You have to admit, bow ties are cool. Which Doctor has your favorite style? Which is your favorite overall? What should Twelve wear? 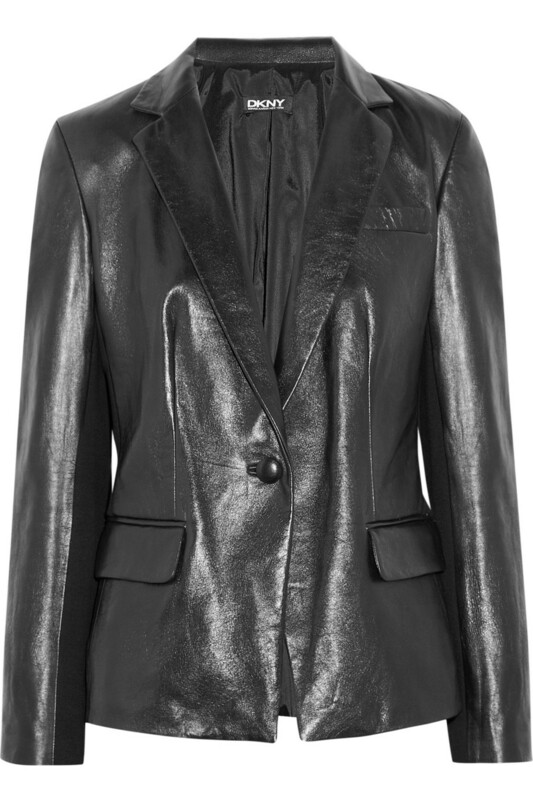 Much as I love velvet jackets, 10 for always for everything. Also, I hope 12 wears a pointy Van Dyke beard. What a great post!! I LOVE Doctor Who!!!! 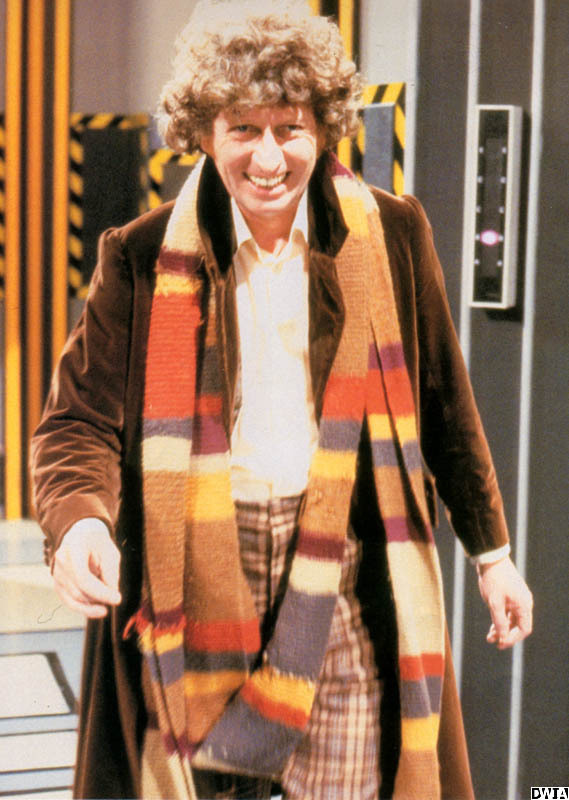 10 and 11 have the best clothes in my opinion but the fourth doctor's scarf is so wonderfully iconic! This makes me instantly want to start dressing like the Doctor every day!! Me and 2 of my friends went as female adapations of 9, 10 and 11 to our pop culture convention here in sydney recently and we've all been using parts of our costumes in our everyday wear. I'm also super excited to see what the 12th Doctor wears!!! 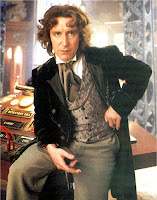 I've been loving 11's long coat so I'm hoping for something with a period twist to it! I do think that seeing 12 regenerate into 11's clothes is going to be quite funny! !